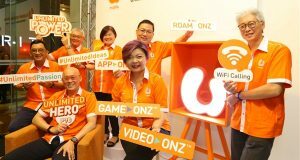 Malaysia 3G & 4G mobile operator, U Mobile is working with Urbanscapes 2017, Upfront concert series, Good Vibes Festival and the highly anticipated Ed Sheeran’s Malaysia Tour to bring exclusive experience and benefits to its customers. Upfront features established and up-and-coming acts from around the globe in the intimate space of The Bee, Publika – bringing fans closer to their favourite musicians for an unforgettable live experience. The next show on 19th July 2017, will feature London-based duo, Oh Wonder. Previously, Upfront has featured The Temper Trap, Grimes and The Vaccines. The ÷ (Divide) Tour is the third world concert tour by English singer-songwriter and musician, Ed Sheeran, in support of his third studio album, ÷ (Divide). The tour will celebrate the tremendous success the Grammy-winning singer has had with his third LP, including the number 1 Billboard Hot 100 debut of “Shape of You,” which has topped the chart for six weeks so far, while second single “Castle on the Hill” entered at number 6, making Ed the first artist to ever have two singles make simultaneous top 10 debuts in the chart’s 58-year history. ÷ (Divide) also broke the 1 billion YouTube views mark just two days after its release. 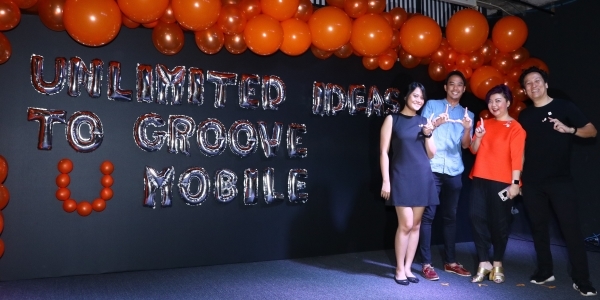 U Mobile said more details (and benefits) for the upcoming major music events such as Good Vibes Festival and Ed Sheeran’s Tour in Malaysia will be revealed on its website in June 2017.